Carole studied book production and illustration at the Central School of Art in London. After graduation she worked for a time in fashion-display, designing displays for Simpsons and John Lewis, before returning to her first love: book illustration. 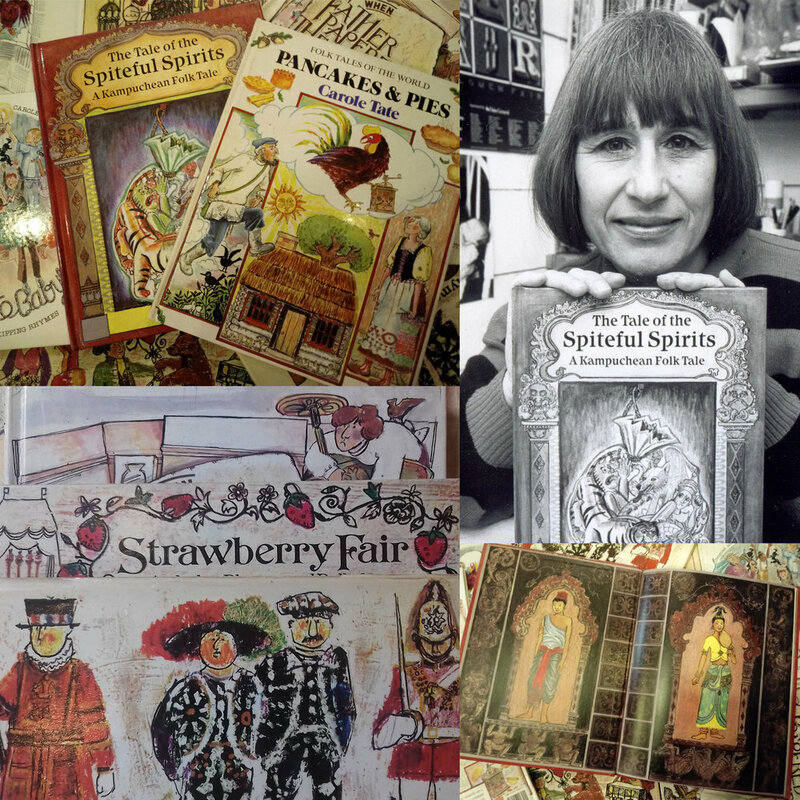 Carole adapted and illustrated some eight books for young children, published in the late 1960s to the 1980s. Domesticity and family life took precedence for some years, but Carole continued to work as a graphic designer for British Aerospace and other leading companies. She also taught art, and ran workshops for students of all ages; she ran a gallery in Hertfordshire, and completed a number of private commissions, including the design and painting of a mural on glass. More recently Carole has concentrated on painting. With her illustrator’s eye, she focuses on detail, and enjoys finding inspiration from life in all its forms – people, animals, or landscape. Figure drawing plays a regular and important part of her work, her pictures often combining different media, to produce complex and unusual surface textures, typically with vibrant colours. Carole has exhibited widely in Hertfordshire and the South East, and has had a one-person show in Hitchin and Welwyn.